Saturday to Saturday peak season. Sleeps 4 with a king size bed and two twin beds- no sofa sleeper. Saturday to Saturday Peak Season. Sleeps 6 with a king in the master, 2 twins in the 2nd, and a sofa sleeper in the living room. 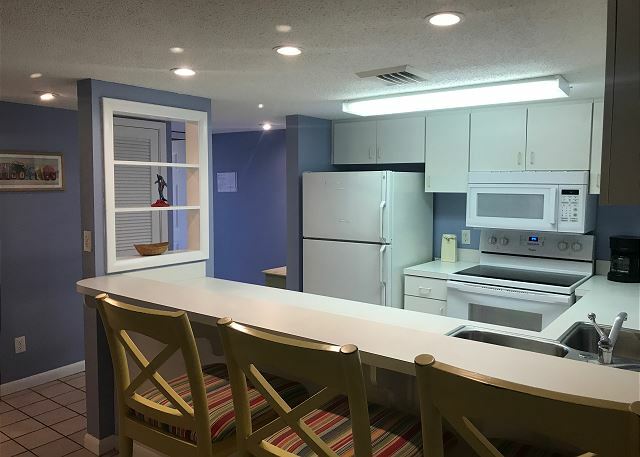 Holiday Surf & Racquet Club - Spacious and quiet Ground floor unit with private patio, BBQ grill and in unit Washer/Dryer! 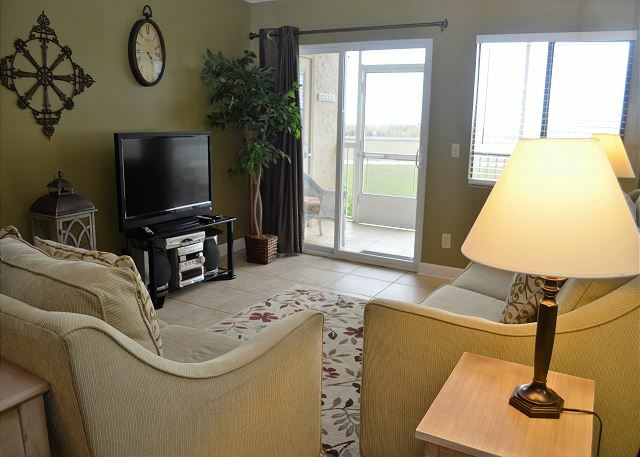 Unit sleeps 6 with a king in master bedroom, king in 2nd bedroom and sofa sleeper in living room. This lovely nautical themed unit features calming blue interior walls perfect for after a day in the sun to help you unwind and get ready for the next day. Unit sleeps 6 with a king bed in the master, queen in the 2nd and a sofa sleeper in the living room. Sleeps 6 with a king in the master, queen in the 2nd and a sofa sleeper in the living room. Sleeps 4 with a king bed in the bedroom and a sofa sleeper in the living room.